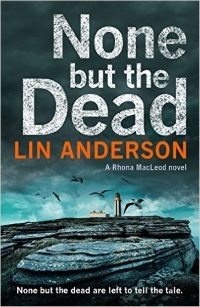 Although my home village of Carrbridge is in the Spey Valley, I’ve never set a Rhona MacLeod novel there until now. When my children were young they spent a great deal of time on Cairngorm with the Cairngorm Ski Club, in all weathers I might add. Me, not so often, and usually only when there was little wind and the sun came out. 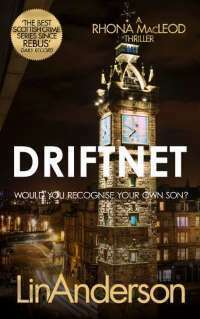 The idea for the book came to me on Hogmanay 2015 when the whole family was back at home in Carrbridge, and since we don’t have a TV, we were playing daft games while waiting for ‘the bells’ at midnight. I suddenly imagined what it might be like to spend Hogmanay on Cairngorm in a blizzard and what might happen there and thus the story was born. I was helped in my research by Willie Anderson, Leader of Cairngorm Mountain Rescue Team, and many of their amazing stories of survival and death in what is Scotland’s Arctic. The truth is far stranger and more wonderful than anything we can create in fiction. 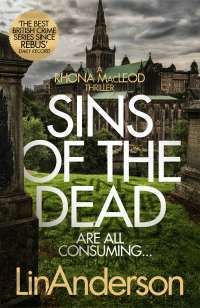 The forensic side of the investigation led by Rhona is always for me the most fascinating aspect of the story. 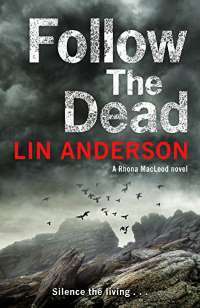 Holidaying in Aviemore where Sean is playing a Hogmanay gig, Rhona joins Professor Charlie Robertson, former colleague and pathologist who’s part of CMRT, to investigate a downed plane on frozen Loch A’an. CMRT being the first onto any scene of death on the mountain, are resposible for the initial forensic examination. 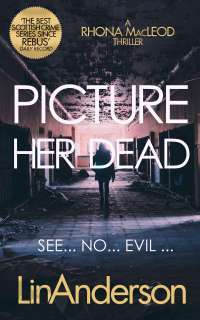 What Rhona and Charlie find is not what they expected. I knew shortly after I began Follow the Dead that the case would be a joint investigation with Norway. Five years ago I was asked to give a talk at the Edinburgh Film Festival about Nordic and Tartan Noir. I had always known of the close connections between Norway and Scotland, mainly because I lived and worked in Orkney for a time and the idea of a joint investigation fascinated me. Think of The Bridge but without the bridge ... just miles of North Sea. I contacted the Norwegian Consulate in Edinburgh and they put me in touch with the Cultural Centre in Stavanger who in turn set up meetings with Stavanger Police Force. I flew to Stavanger from Aberdeen, a short hop of 50 minutes and spent four days there. Police Inspector Egil Erikson and his team couldn’t have been more helpful and as a result, the character of Police Inspector Alvis Olsen in Follow the Dead was created. 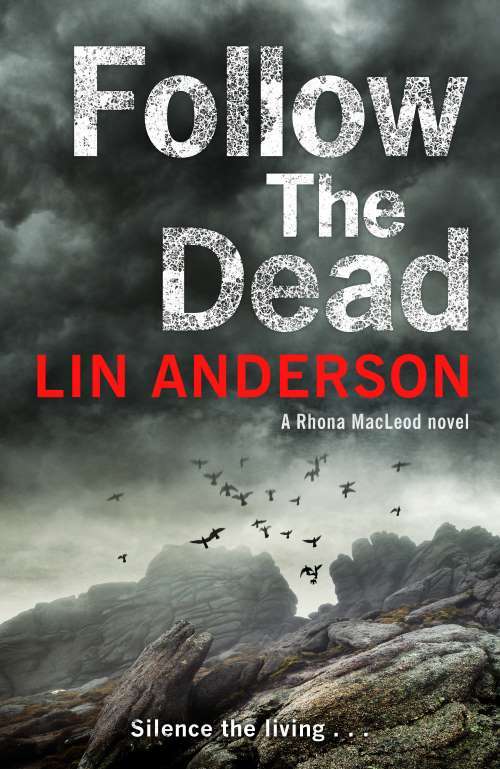 Update 4th September, 2018: Follow the Dead is shortlisted for the McIlvanney Prize for Scottish Crime Book of 2018. 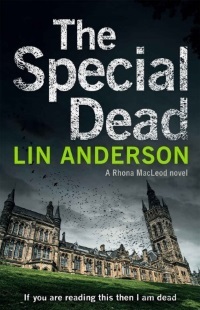 Lin Anderson is the creator of the forensic scientist Rhona MacLeod series of crime thriller novels, and is co-founder of the ‘Bloody Scotland’ crime writing festival. Lin is a screenwriter, with a Celtic Film Festival ‘best drama’ award for ‘River Child'. 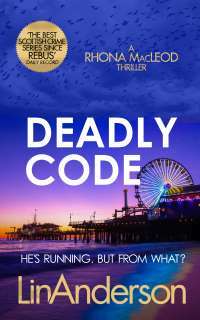 A movie based on her ‘Dead Close’ story is going into production, and Lin is working with John Sinclair (ex-Ozzy Osbourne) on a Rock Musical. 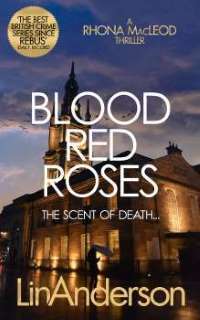 Lin chairs at literary & science festivals, and gives talks on Forensic fact v fiction. A bride-to-be gets murdered on her hen night. 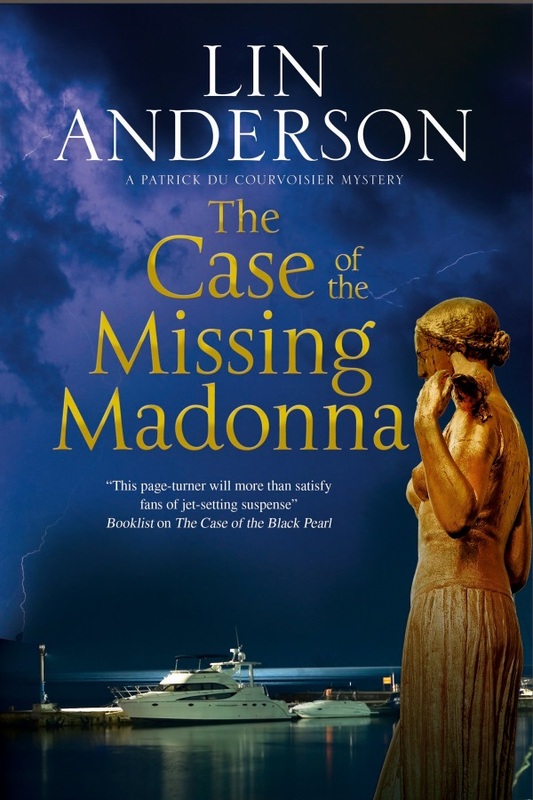 Continues the adventures of private investigator Patrick de Courvoisier, with locations from Cannes to Venice and back again. 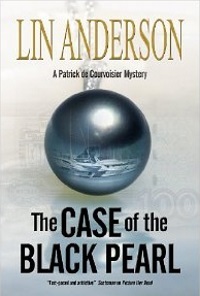 The opening book in Lin Anderson's private investigator Patrick de Courvoisier series, set in Cannes on the French Riviera. 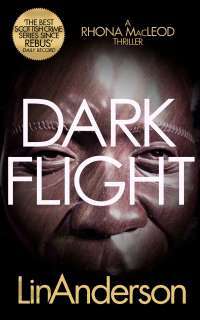 Returning to her island roots, forensic scientist Dr Rhona MacLeod becomes embroiled in a deadly international conspiracy. 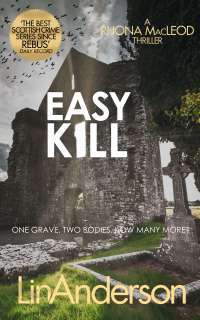 Can Rhona decipher the meaning of the bones and track Stephen down before he becomes the next link in the killer's chain? This man has killed before. 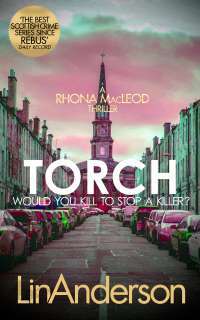 Rhona knows she has to track him down and stop the pattern from repeating itself. 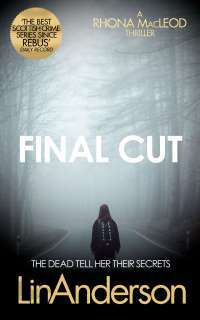 When Claire regains consciousness after a stranger causes her car to crash in a snowstorm, she is frantic to discover her nine-year-old daughter Emma missing from the back seat. A group of teenage girls seem to have all got pregnant at the same time. 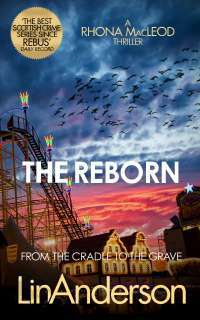 Then a Reborn doll is discovered near the crime scene and a second girl from the group is found dead. 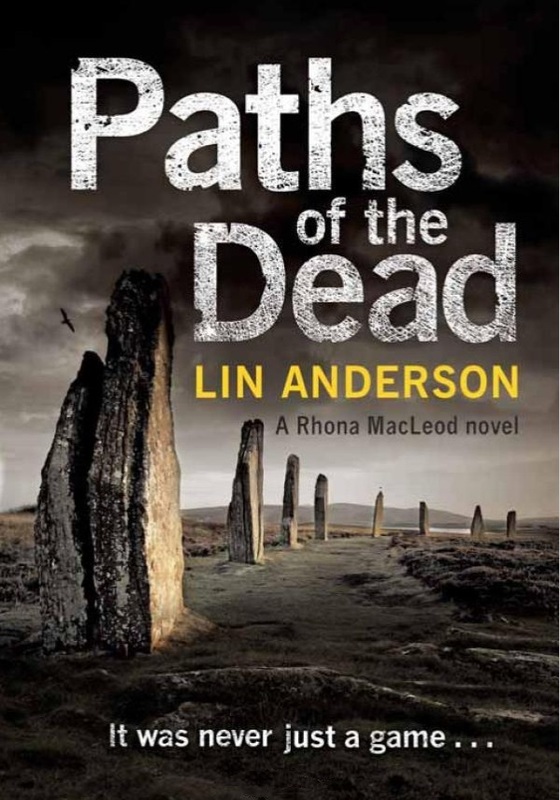 Rhona must deal with the news that a face from her past is literally back from the dead - but for how long? (c) Dunedin Media 2018 ~. Simple theme. Powered by Blogger.